Ulf Plessentin: June 29, 2017, 5:03 p.m. The Gandharan Buddhist civilization is only little known outside academic circles. It established after Alexander the Great had conquered the Indus plain in the 4th century. Famous for its cultural cross-over, it combined Hellenic elements with Buddhist motifs. For example, Artists created unique statues of Buddha – which look almost as those of ancient Greek gods. These artistically rich cultural and religious encounters are researched by CERES Junior Professor Jessie Pons. Together with the DiGA project team she is working on the creation of a concept for the digitization of Gandharan sculptures. It will shed light on the levels of interaction between the textual and visual media in the formation of Buddhist narrative traditions and sharpen the understanding of the history of Buddhism in Gandhara particularly with respect to the emergence of Mahayana Buddhism. 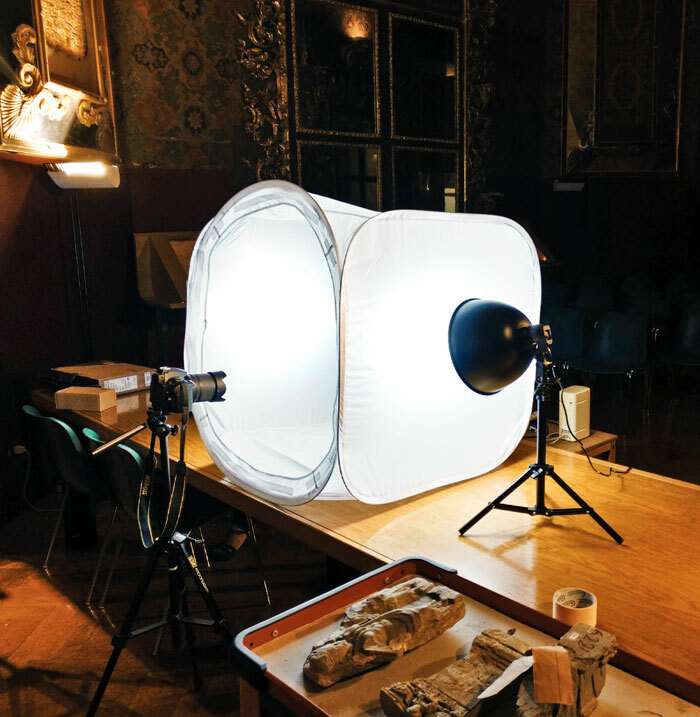 In order to analyze the visual media of this civilization, team member Antonio Amato conducted a photographic campaign at the National Museum of Oriental Art "Giuseppe Tucci" in Rome over the past few weeks. Founded in 1957, this museum has a renowned collection of Gandharan artefacts coming from archaeological excavations conducted in the Swat Valley by the Italian Archaeological Mission in Pakistan. 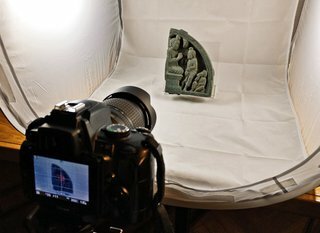 In agreement with the Rome museum, the photographs — together with the data concerning the artefacts — will be used to create the first prototype of the Gandhara database. This important step is needed in order to test the database structure before it will be set up in greater dimensions. The project is funded by the German Federal Ministery for Research.